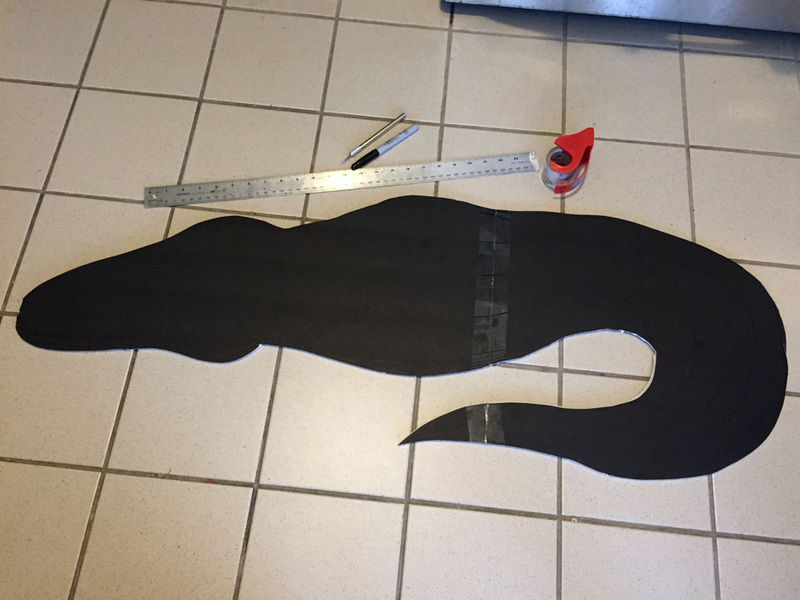 I’m currently working on a 4-foot paper maché alligator to go in my bathtub for this year’s voodoo swamp-themed Halloween party. I’m excited about the progress I’m making on it, so here are some work in progress pics! 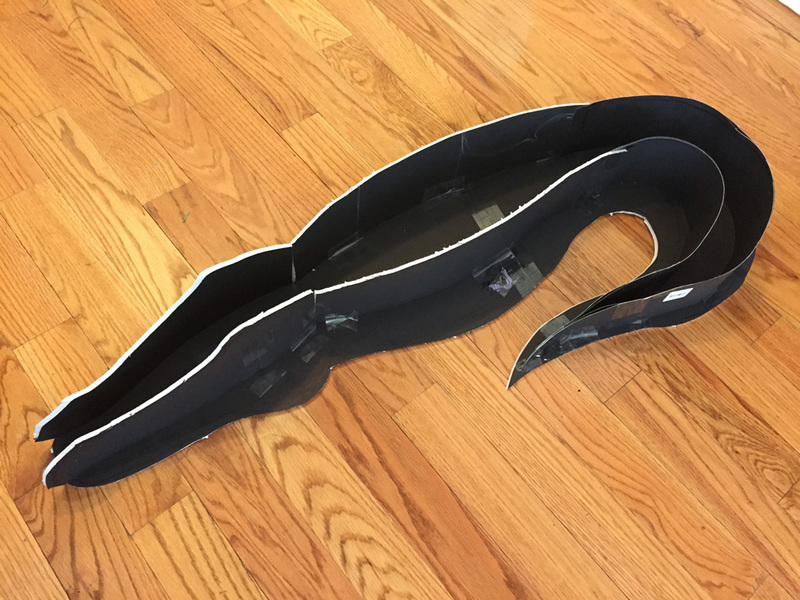 I started with two pieces of foam board, taped together and cut into a 4-foot alligator shape. 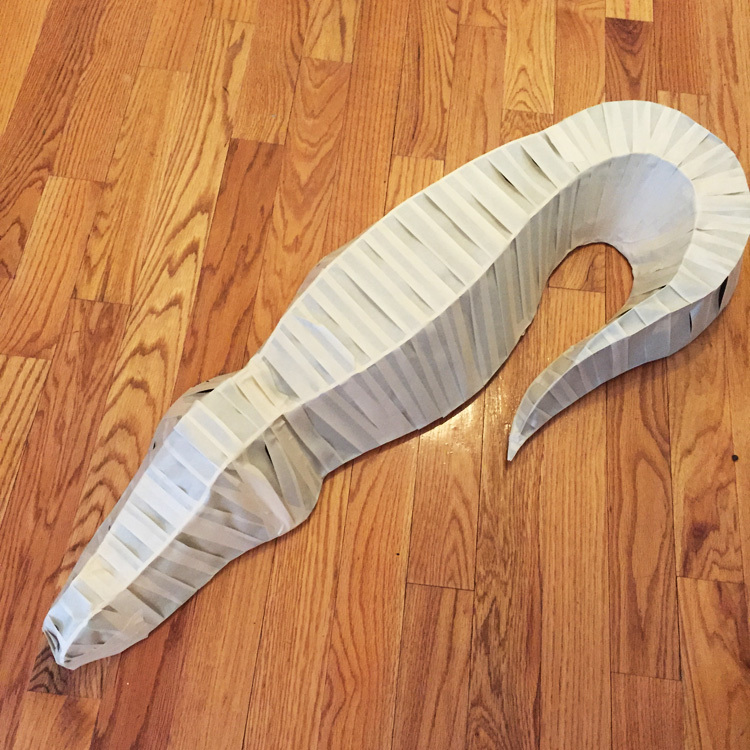 Then I used two strips of foam board and two strips of poster board to fashion these long ridges down what will be the alligator’s back. Then I wrapped the whole thing in masking tape. Time for paper maché! 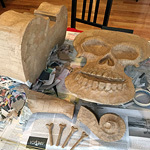 See my post about my paper maché method here. I made those spiky ridges along the back out of poster board. I made the texture on the back and sides with pieces of string, cut to size and paper maché’d over. I did just two layers of paper maché for this whole thing. It won’t need to be very sturdy or last very long. 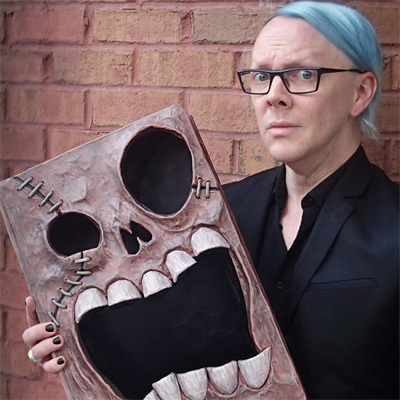 I created the shape of the face with craft foam. This stuff is great; it’s soft and rubbery and lightweight, kind of like a much thinner version of a yoga mat. And it’s very easily to cut nice smooth shapes with. It’s also nice and cheap; just 80 cents a sheet at my probably-overpriced art store in Brooklyn. 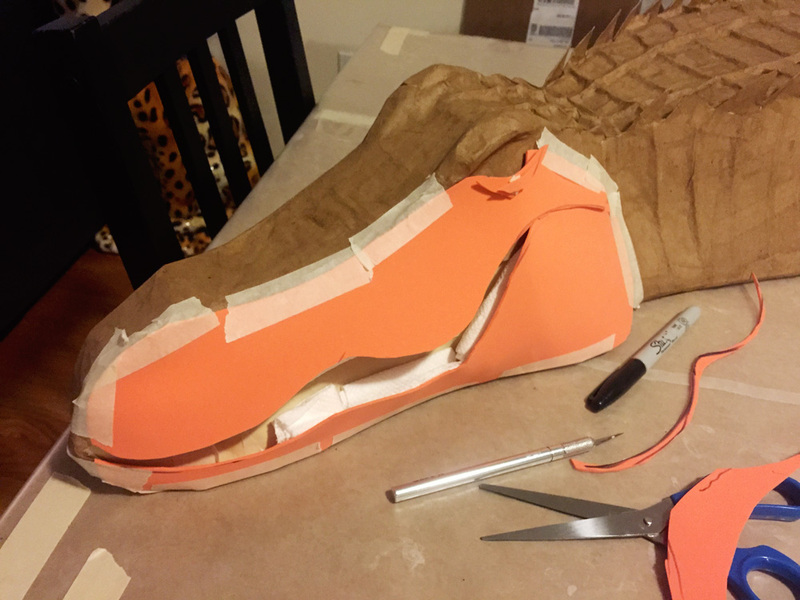 I padded out the craft foam with paper towels to make the edges of the mouth stand out a bit, so I can put teeth in there! I paper paper maché’d over the craft foam, and then sculpted the teeth with Activa Plus clay. I also decided to sculpt out the eye sockets and nostrils with some more clay. 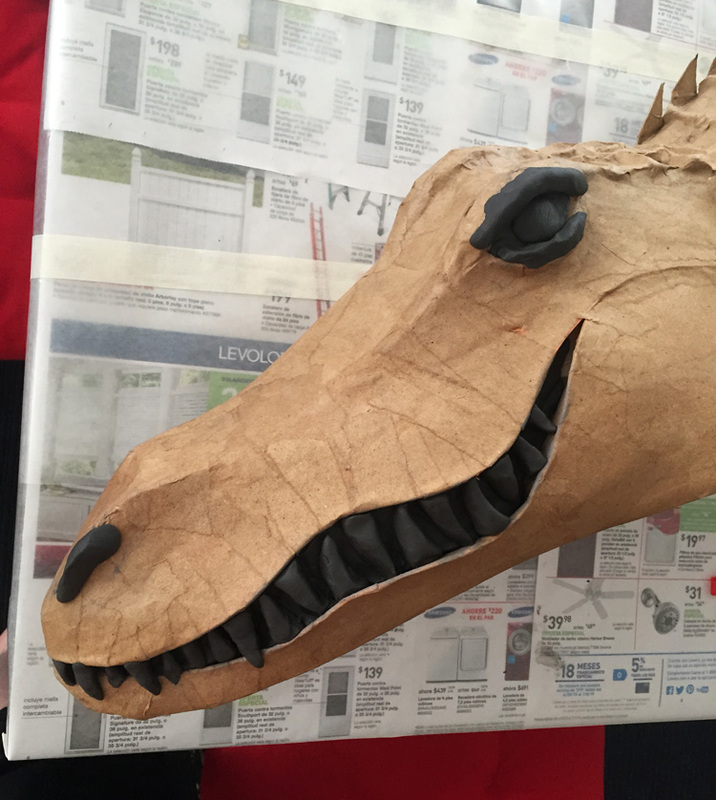 Next steps: More paper maché to cover the whole face, and then I have to make legs for this guy! I already made some legs but I’m not happy with them so I’m doing them over. And then of course when that’s all done I have to paint the thing. Ultimately I’m going to try to waterproof the alligator, at least so it will survive about eight hours partially submerged in water. I’m researching some methods and materials for that, but I’d love to hear if you have any ideas; please feel free to leave a comment below! Thanks! Update: I’ve added part two! See how he’s coming along! I am a 40 physician just deciding to try papier mache for the first time! Party at the swamp for my 5 yo bday. I got the body wrapped in masking tape, and I started to place the cut back ridges on and twine string. I am afraid the string wont have definition once covered. Should i have done two paper mache layers first, then lay string, then final two layers? Thank you for any advice. Hi Ani! The string will probably still have definition as long as it’s thick enough; I did two layers of paper over my string and it stayed very visible. Honestly you could probably just do one layer of paper mache if you’re concerned; one should be strong enough. Painting really helps it stand out as well! If you try the dry-brush method I mentioned, it should really bring out the highlights of the string. I hope it works out! Good luck, and happy birthday to your little one! Hey, you mentioned waterproofing, what about that spray stuff (flex spray). I do like your gator!! Flex spray sounds like a good idea but I’ve never tried it! 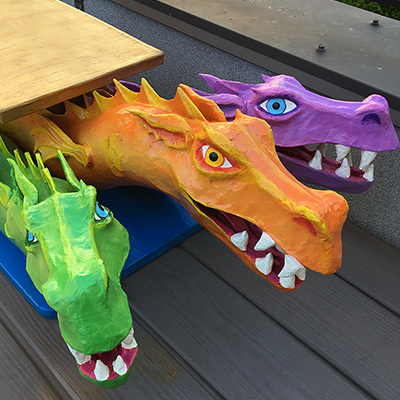 I also recommend checking out this great article where they try several different waterproofing methods on a bunch of identical paper mache sculptures. Pretty interesting results! Dear manning, thank you for your quick response. I will for sure take your advice. I can’ t wait to get started. Have a nice day. 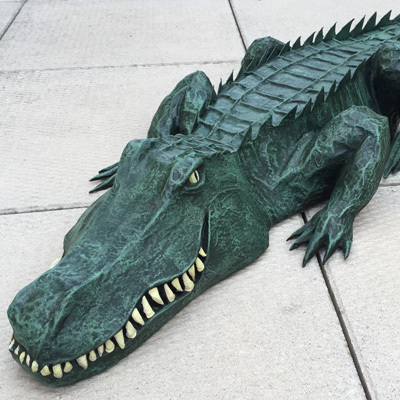 Great gator for a Peter Pan play. Will definitely try to make it myself. 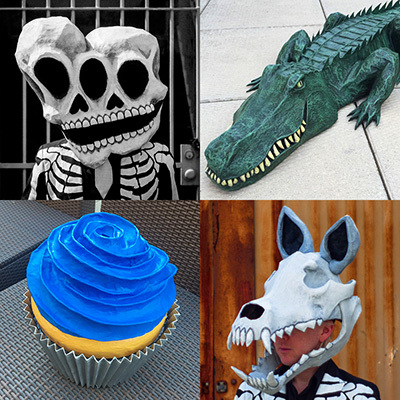 I’m so impressed with your alligator.I’ve been Volunteering for different organizations for Halloween (houses, walks, trails) for over 30 years.Every couple years I changed the theme to my “House”. This year its going to be the “Swamp Shop”. I can’t wait to try this project. Keep up the awesome ideas!!! Thanks Ardie! I was just thinking it would be fun to re-do this one at a much larger size, but I have no reason to (or the space)! I’d love to see how yours comes out! Good luck! This would be fun on April’s Fool Day in the swimming pool or bath tub. My son and I are attempting to make this for a school project for his book report. His book is Chomp. Thank you for the detailed instruction. 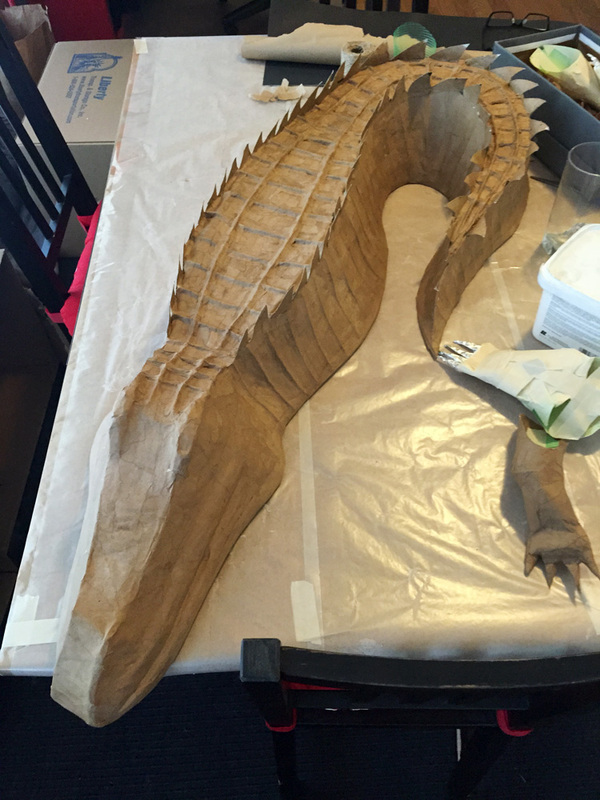 The alligator looks great! Sounds fun! Good luck, I’d love to see it when it’s done! Good luck! Let me know if you have any questions along the way! Hi. I work for a school for kids with special learning needs. Every year we put on a major all school musical production. This year I am tasked with making a crocodile head with a moving (hinged) jaw. The head will be attached to a larger contraption with gears and all sorts of engineering gizmos to be pulled by one of the actors. It is going to look like a life-sized, mechanical sort of a crocodile pull toy. (Odd, I know, but I just work there). Anyway, I love the instructions you give on making your alligator. 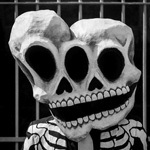 I will not, as I said, have and need for the body, just the head. 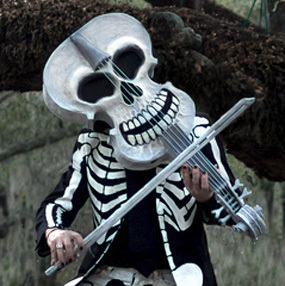 Can you suggest any tricks for creating/ designing it so the jaw is hinged and can open anc close? Obviously it would need to be made in two parts. Still kind of stumped on how to draw that to and design it. Any pointers or thoughts that might help? Whatever you can suggest would be greatly appreciated. I should mention, I only have a couple of weeks to get this done!! Thanks for your help!! Hello Debbuh! This sounds so cool, and I have a bunch of ideas for how I’d do it, but it would depend on a million things! Is the audience looking at the front of the crocodile, or the side? (Or does it move around?) Is there room somewhere behind the crocodile’s head to hide a person who’s operating the mouth? My main idea would involve some long sticks that poke out behind the head, one attached to the upper jaw and one attached to the lower jaw; these could either be operated manually by someone, or they could be attached to a string (and probably a pulley or two) and operated from nearby….. I’d probably build the upper and lower head separately, starting with two big U-shaped pieces of foam board, with one a little bigger than the other so that they fit together somewhat loosely, and I’d poke a hole through the sides of both jaws so you can set a wooden dowel in there to act as a hinge. The rest depends on all of the above questions! I am interested in finding out if you can make two of them for purchase. My daughter is graduating from college and I would love to have them for her reception. Hi Bridget! I’ll email you!